Juventus and Internazionale meet at Juventus Stadium for the 15th round of the Italian Championship. This will be a duel between two of the most traditional teams in Italian football. Juventus are leading the championship, with 40 points earned, 14 wins, 1 draw and no defeat. The team are motivated by the 3-0 away away win over Fiorentina. The coach Maximiliano Allegri bet on the good phase of his attacking pair, Cristiano Ronaldo (10 goals) and Mario Mandzukic (6 goals). Bonucci, Dybala and Pjanic are other highlights of the team alvinegra. Internazionale is in 3rd place with 29 points, with 9 wins, 2 draws and 3 losses. The team comes from a 2-2 draw away from home against Roma. Coach Luciano Spalletti bets on forward Mauro Icardi, the team’s top scorer with 8 goals scored. The placing in the area of ​​De Vrij, the speed of Keita and the ability of Nainggolan, are other weapons of the Milan team. In the last 5 clashes between the teams, were 2 Juventus victories, 2 draws and 1 Internazionale victory. Juventus have the best attack of the competition, with 31 goals scored, and the best defense, with 8 goals conceded. Juventus have come from 4 wins in a row. Juventus are the only undefeated team in the competition. Inter have scored 12 goals in the last 6 games (average of 2 goals). 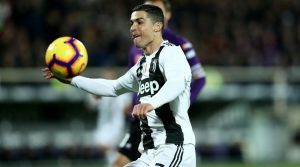 Juventus are once again the great favorite of the Italian title, but they know they will not be able to falter before Inter, since it is also a competitor to the title, of course without favoritism. Internazionale has a good time, but she is usually fragile acting outside her home. The game promises to be good, but to the advantage for Juventus, to play with the support of their fans, have a good record in the confrontation and have a more qualified team. Juventus wins!